If you have been involved in an accident caused by someone else and you’ve incurred some injuries – there is a very good chance that you are going to have to turn to the opposite party’s insurer for the compensation. However, you would need to prove that the other side was actually responsible for the accident which effectively caused your injuries. The person who is actually seeking the recovery of damages in a personal injury claim is the one who is burdened with proving that the defendant is responsible. The injured party is, therefore, particularly obligated to determine that it is exactly the defendant who has caused the accident which was the cause of the injuries. The plaintiff can meet said burden by providing the necessary evidence which unambiguously shows that the defendant bares the responsibility. When it comes to it, the party who claims the damages needs to determine the negligent behavior of the opposing side. Negligent behavior means such behavior which is in breach of certain rules and regulations or failing to deliver the necessary duty of care and hence breaching it effectively. The duty of care is the necessary responsibility that you need to put towards certain activity. For instance, when you own or rent a parking lot during the winter you need to ensure that it’s properly cleaned in order to prevent slipping. Right after the negligence is determined; the injured party needs to show damages. They can be both physical and emotional. Emotional damages derive from the turmoil and distress that the injured had gone through. What is more, he might also claim pain and suffering. Physical damages, on the other hand, are characteristic and easily defined because they have visual representation and could be perceived by everyone involved. The last thing that you would have to take into account is the proximal link between both. This means that the negligent behavior that you have established led to the accident which caused the injuries and that there is nothing in between. In order to do so you need to determine that if said negligent behavior hadn’t manifested, these exact injuries wouldn’t have existed. You can also look at it the other way around – those damages could only be caused by this behavior, it’s the same thing from different prospective but it also changes the line of proof. The truth is that handling the insurance company and submitting the proof you are going to use is no walk in the park. 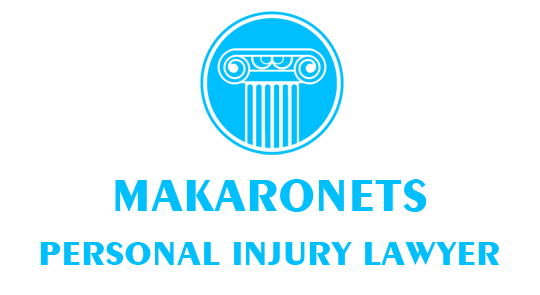 You are going to need to rely on a professional personal injury lawyer who is experienced, well versed and prominent in his field of expertise. You can look online or get referrals for the best lawyer in Orillia from your friends and family. It is best to schedule an appointment and get an estimate on the amount of compensation that you can receive. Dog bite cases are particularly interesting, especially if they are held in the state of Ontario. The main reason for this is that there is a clear determination of the obligation, liability as well as the differentiation of damages associated with dog bites set forth in the separate and unique Dog Owner’s Liability Act. This piece of legislation was enacted back in 1990 on the 31st of December. It hasn’t been amended or replaced ever since. This is a clear sign for only one thing – it works. The legislative authorities have managed to successfully asses the social demands of regulations and have put all the necessary texts in one concise piece of legislation. There are also some general articles in the Act which give concise explanation of certain terminology which are mandatory for all parties involved in a process of this kind. However, the most interesting thing associated with the act that also deserves tons of attention is the institute of contributory negligence. Right off the bat, it’s important to point out that the Dog Owner’s Liability Act sets forth an incredibly wide spectrum of responsibility on behalf of the dog owner. He doesn’t have to be present at the time of the accident nor does he have to be aware of it. He is going to be held accountable either way. There are no exceptions to this rule but one – contributory negligence. As the name suggests, this is an event in which the victim of the attack is also liable because he has contributed in some way. That is why if you have had a part to play in the attack by the dog, it is good to discuss it with your lawyer in advance. Interestingly enough, this is the only thing that may limit the responsibility of the owner. If a person, who’s been attacked and injured by a dog, has in some way irritated the dog and thus caused the attack, the victim’s compensation is going to be reduced accordingly. However, contributory negligence also suggests that if the victim has failed to take action in regard with the treatment of his injuries under premises which he’s responsible for, the dog owner can’t be held responsible for them. Any complication which can be pinned on the failure to take action on behalf of the victim won’t affect the accountability and liability of the dog owner, who’s animal caused the initial injury. The solution is fair because the alternative is a state of endless liability which can’t be tolerated neither by the law or by the social demand for regulation.